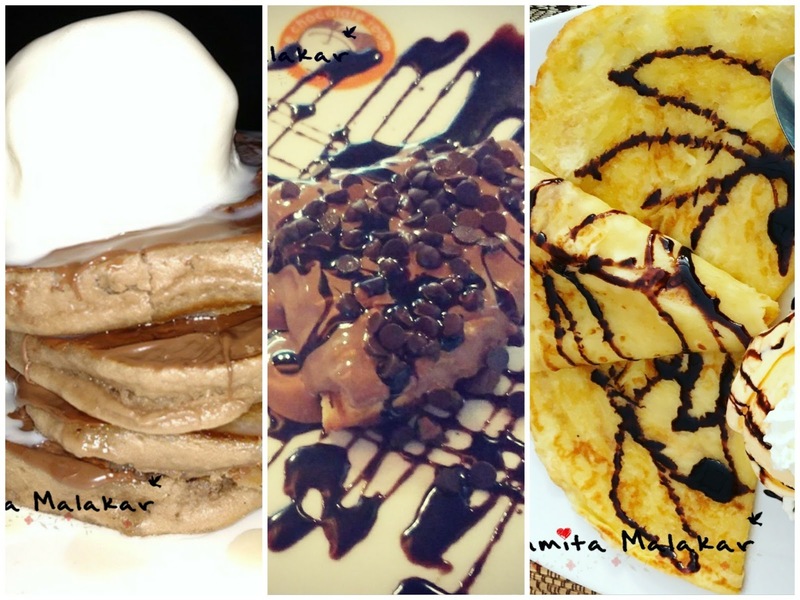 #MyDessertProject: Know Your Waffles, Pancakes and Crepes. The idea of having desserts for breakfast is greatest invention in the history of mankind. Starting from the Belgian waffles to the French toast to the Indian Rawa Kesri, each dessert breakfast is unique and equally yummy! 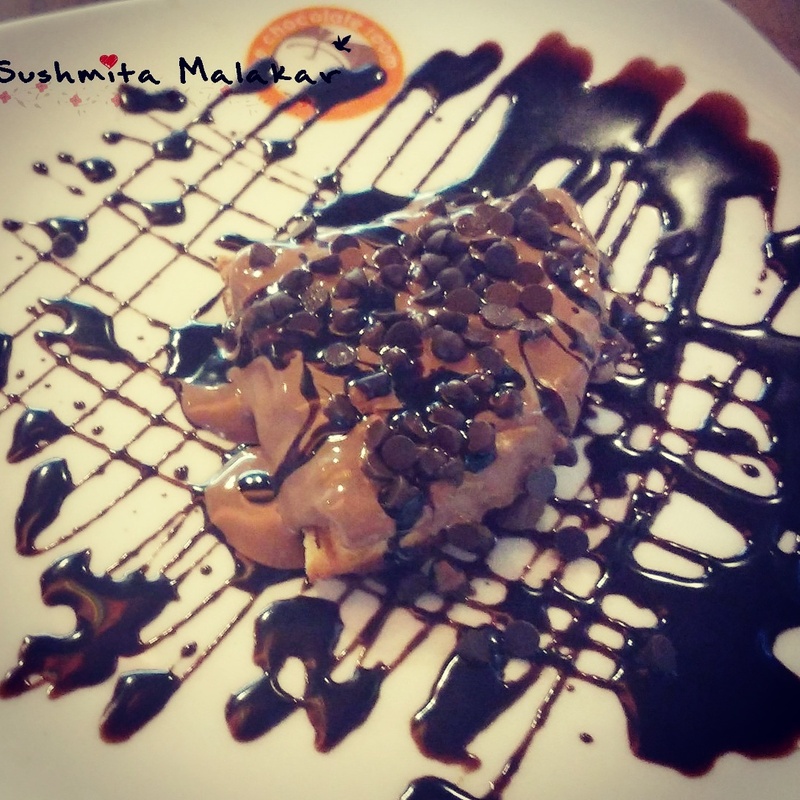 Is it just me or do you also feel that there is a sudden influx of waffle places in the Indian market Today, I can safely say that there is a waffle place in every nook and corner of Delhi. I am a complete lover of desserts and there us nothing that can stop me from having at least one serving of any dessert after each meal I take. No, I don't take pride in that! Earlier, I was just a lover of pancakes when it came to breakfast. 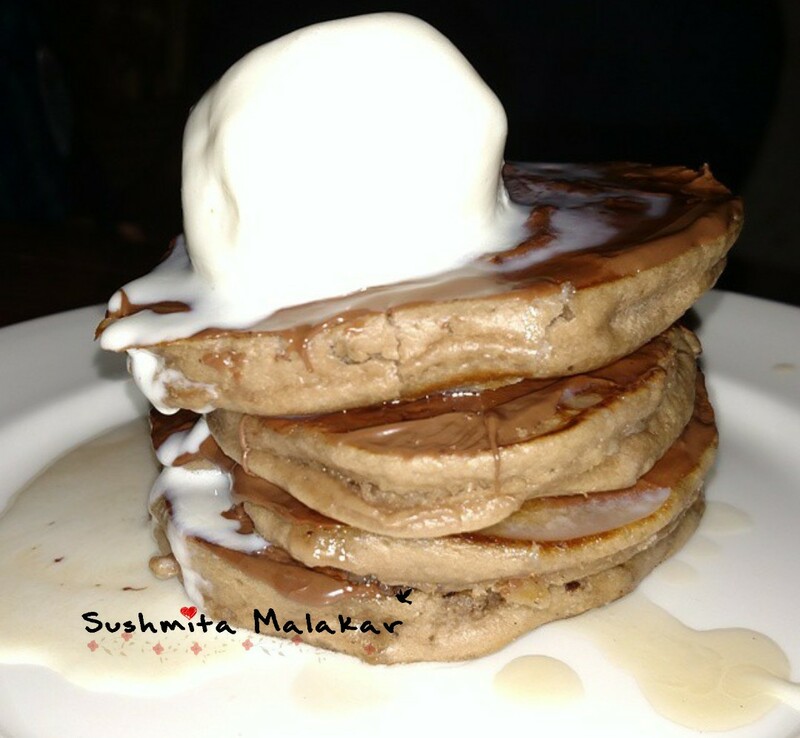 Pancakes are light, fluffy and has the right amount of sweetness to kick start your day. But I have always wondered what exactly is the difference between the waffle, pancake and crepe batter? The batter has egg, flour, milk and sugar and they all taste the same. The difference lies in the preparation and cooking method. Waffles originated in Belgium and are crunchier than the rest of the two. They are cooked on a dual sided greased griddle using more sugar and thus they become crunchy. Traditionally enjoyed with melted butter and syrup, I still love my waffles with loads of whipped cream and chocolate syrup. The Greek pancakes are prepared with just a slight difference in the cooking utensil. A medium hot pan is used to cook perfectly round pancakes which are moist and more spongy. Usually, the amount of sugar and eggs used are a li'l lesser than that in the waffle batter. Pancakes are also enjoyed with syrup but my favourite condiment for pancakes is chocolate syrup! Also, there is never too much ice-cream. The exotic crepes have an exotic origin too. 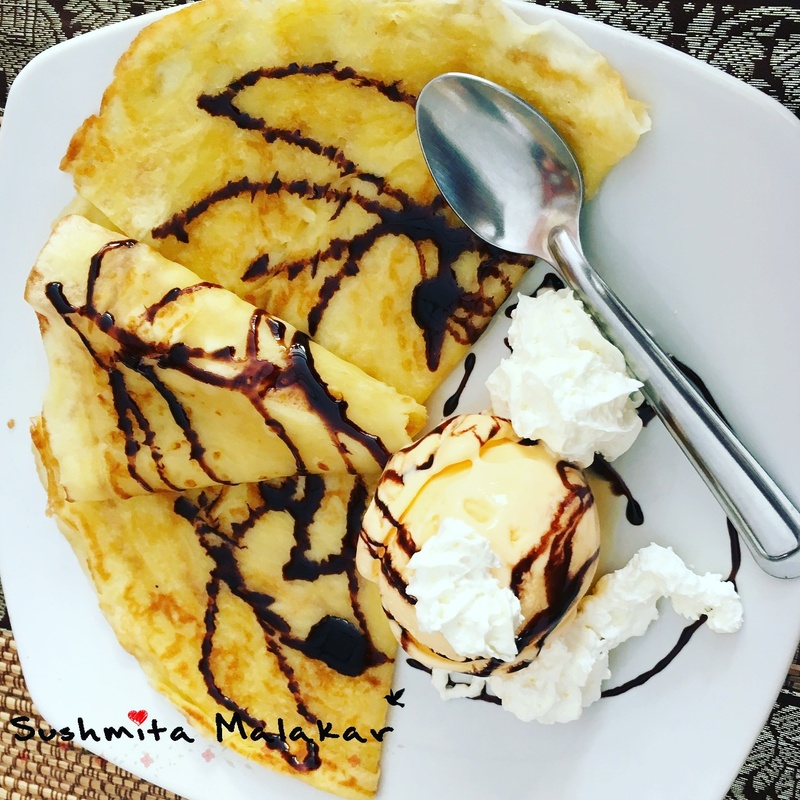 Coming from France, crepes are prepared without using any baking powder and thus they don't rise as much as the other two. Crepes are flatand super thin and are an all day snacks. Crepes can be stuffed with a lot of ingredients to make them a filling breakfast. I love my crepe plain, thin and with Nutella on the top! If at all you have been wondering the differences between them, I hope I could solve the li'l mystery for you. Let me know your favourite out of the three! Thus a delicious and quite informative post. Yummy. I don't eat any of these very often, though I really love them all. French toast with just a little cinnamon-sugar and butter is a total comfort food for me. With crepes, I like a little yogurt and fresh fruit. And on pancakes, I have a weird habit of adding peanut butter before I pour on the syrup! It sounds bizarre, but it's very tasty! Waffles? The very best are fluffy blueberry waffles topped with real Canadian maple syrup. Oh boy, these look delectable! I did not know the difference and have actually used the same batter for both pancakes and waffles. Thanks for letting us know! Thank god this post helped at least someone!